Looking for a Professional Trainer? Searching for a Riding Instructor or Clinician? 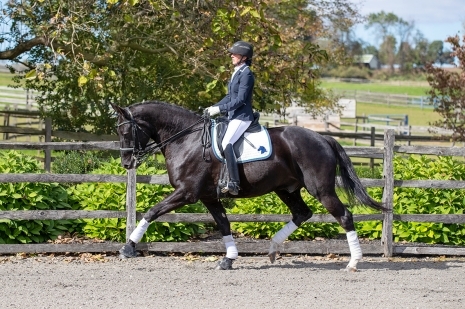 Find dressage, eventing, hunter and jumper trainers by name, location and discipline. MatchNRide.com offers a fully integrated professional package providing the best value for promoting your training and sales business online. Your Trainers' Corner profile will showcase you as trainer, your business services and horses for sale or lease, along with logo, photos, contact information, website and social media links. Your sale horses listed on MatchNRide.com automatically display on your Trainers' Corner profile. Your sales horse listings appearing in buyer search results link to your Trainers' Corner profile, increasing buyer confidence via information about you and your business. Horse listings and Trainers' Corner profiles are easily updated and can be quickly emailed, printed and shared on social media. MatchNRide.com will optimize your photos for the site and create your Trainers' Corner profile at no additional cost. Your business information, easily updated and shared, in one convenient location for only $120 a year. Place two or more horse listings and receive a promo code for a FREE Trainers’ Corner profile for one year. If you have questions or would like us to create your profile email mary@matchnride.com.